Africa University’s flagship, the Institute of Peace, Leadership and Governance (IPLG), awarded degrees to its largest group of graduates this year. More than 80 students completed graduate programs in Intellectual Property, Peace and Governance, and Public Policy and Governance. 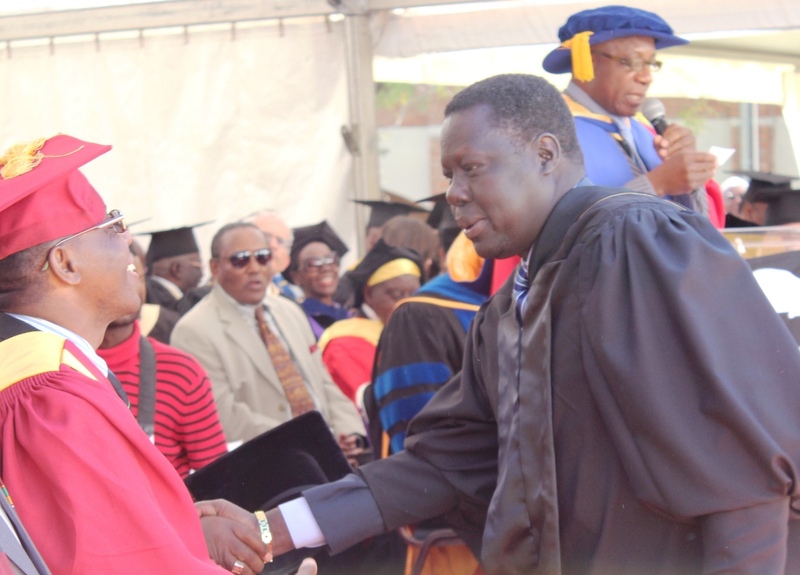 The Institute’s 2014 graduates included Zimbabwe’s Minister of State for Provincial Affairs in Manicaland Province, Christopher Mushohwe, and the Ambassador of the Republic of South Sudan to Zimbabwe, Boutros Thok Deng, who earned an executive master’s degree in Peace and Governance and a master’s degree in Public Sector Management respectively. 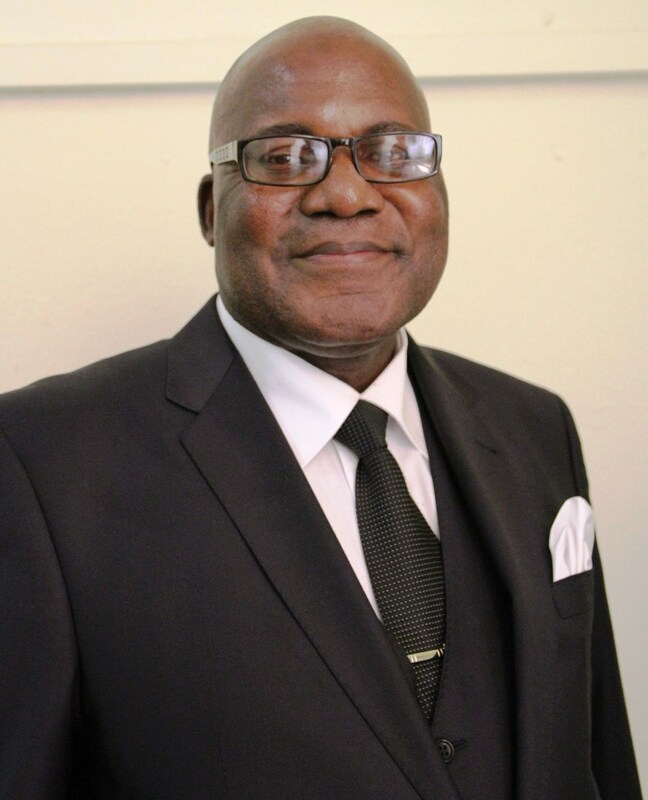 “I am proud of the fact that Zimbabwe was chosen to host Africa University,” said Mushohwe, who described Africa University as a ‘true pan-Africanist university’, destined to grow and become the center of African renaissance and peace studies in the region. 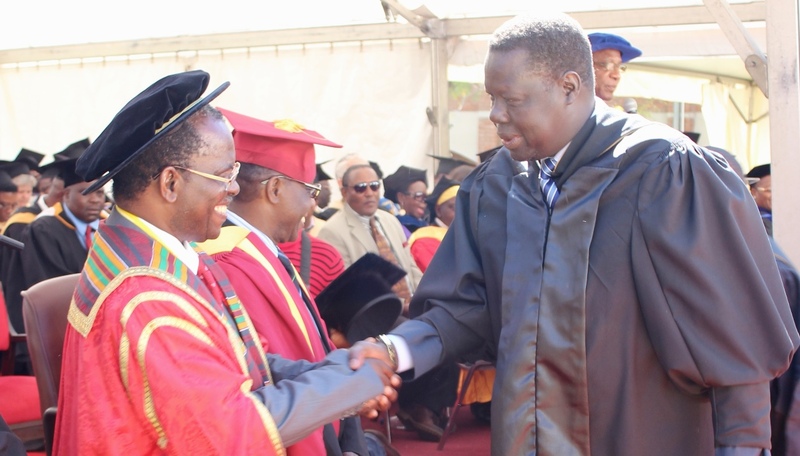 Deng pledged to support Africa University by advertising the institution in order to increase the student intake from South Sudan. Institute graduates and staff members provide leadership and mediation services to help resolve conflict situations in various African hotspots, including the most recent politically-charged crisisDis in Mozambique. Adapted from an article by Sharai Muonwa, acting director of information and public affairs at Africa University.